SKU: AWC001. 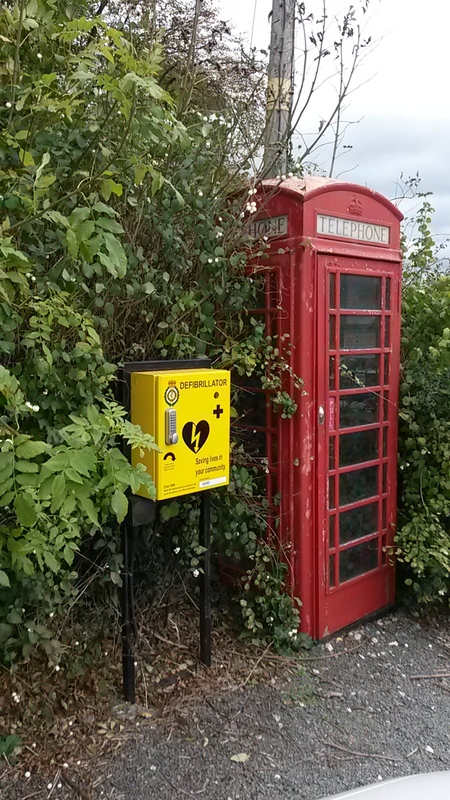 Category: Defibrillator Cabinets. 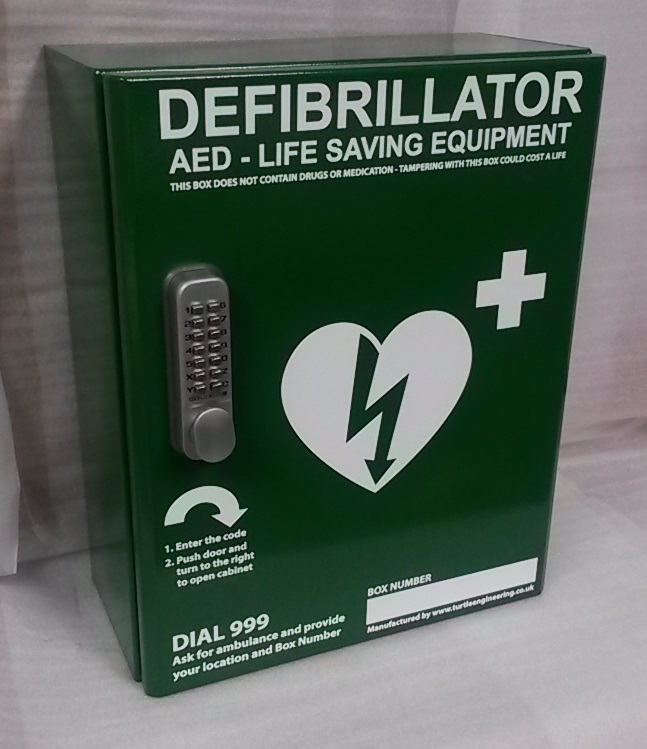 Tags: AED Cabinet, Defib Cabinet, Defibrillator Cabinet. 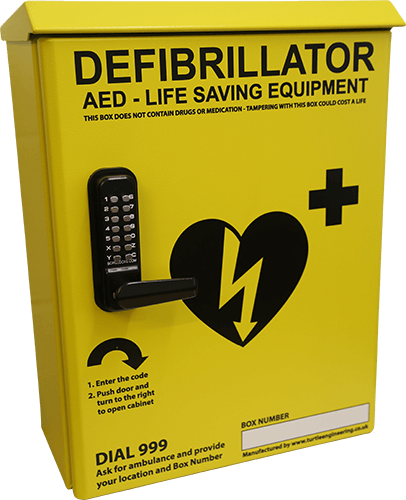 The AWC001 is our most popular defibrillator cabinet, manufactured from 2mm mild steel and powder coated in your desired colour, the defibrillator cabinet features an internal automatic LED strip light which is activated when the door opens as well as a 150W fan assisted, thermostatically (temperature) and hydrostatically (moisture) controlled heating element to ensure the ambient temperature inside the cabinet never comes close to freezing. 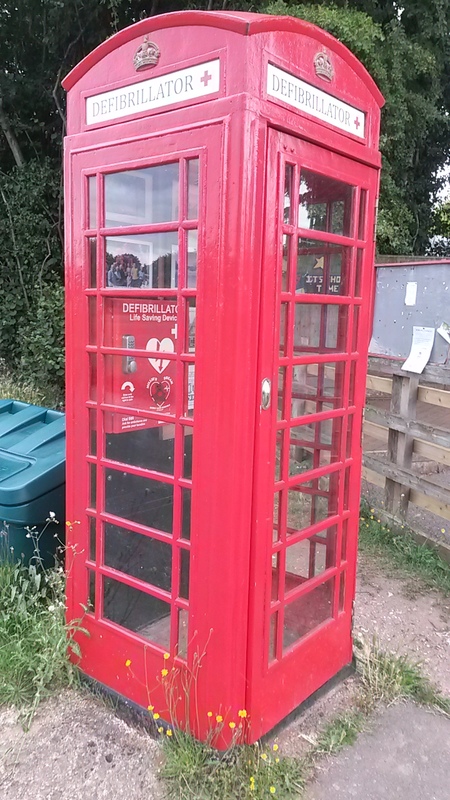 The cabinet also has a handy storage compartment on the inside for spares, mask kits, etc. 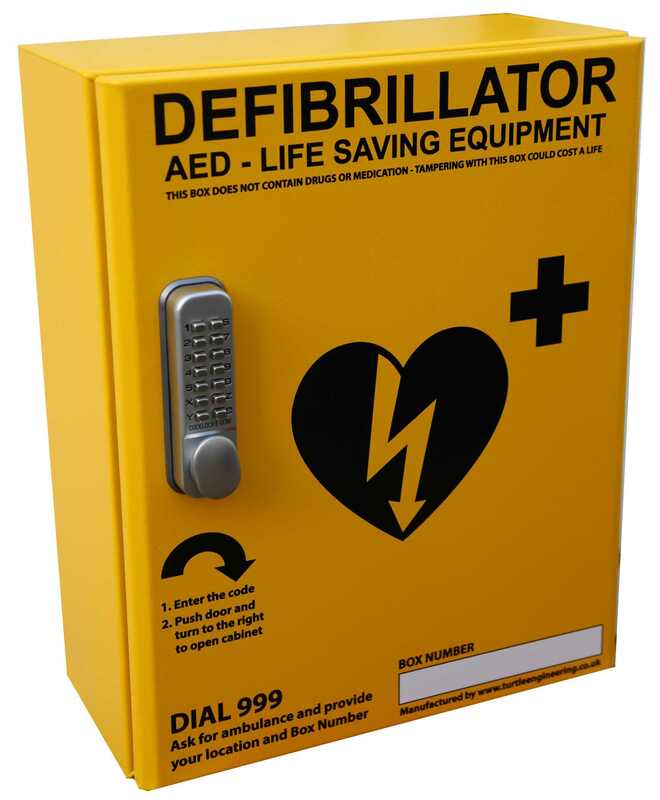 The cabinet will house all popular makes and models of Public Access Defibrillators with and without their carry cases. The marine grade external lock comes with a life time guarantee from the lock manufacturer and allows a customised code to either be pre-set at the time of manufacturing or to be changed at a later date by a competent person. The lock has been salt spray tested for over 1000 hours so is suitable for sea front environments. 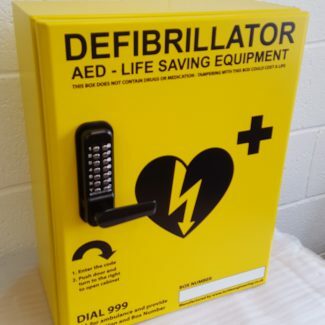 A selection of alarms or flashing beacons can also be added to the defibrillator cabinet to alert locals to the cabinet that it is being accessed – note the alarm / beacon will be activated whenever the cabinet is accessed so it will activate when custodians are checking the defibrillator cabinet too. 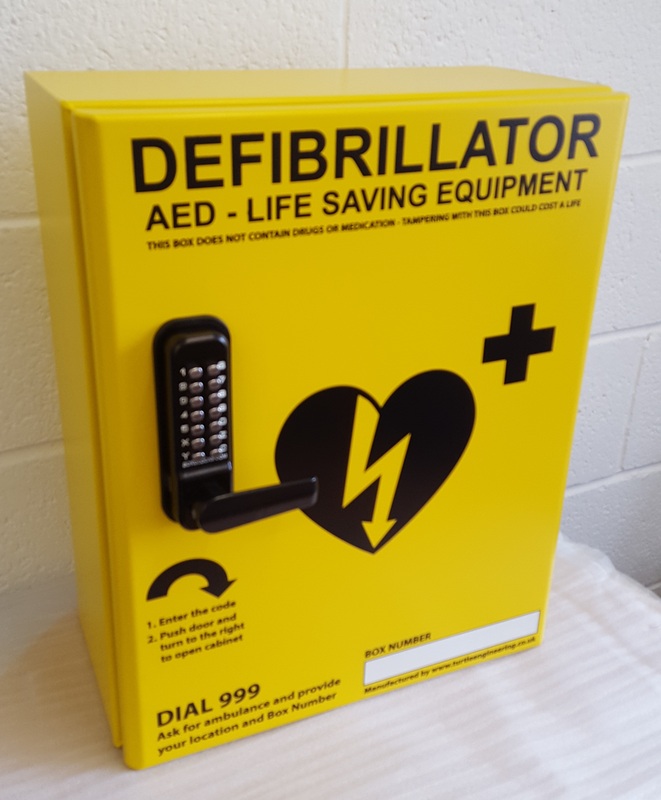 All our defibrillator cabinets have the option for the front design to be customised with your own choice of text or logos, please contact us to discuss your requirements further.